150 companies have had the job section on their websites externally assessed by our young peer researchers and the results are in. 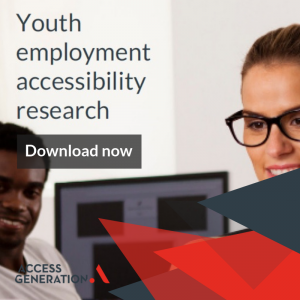 Today we can share with you the full report on this research which was designed by young people and provides companies with insight into what a young candidate looks for when choosing and applying for work. A big thank you to our sponsor, Workvine, a HR tech company, who have supported us to complete this latest round of research. 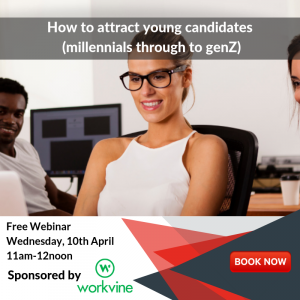 This research demonstrates that a company needs someone to take ownership of their online identity and ensure recruitment processes don’t impede their ability to attract young people and recruit candidates. Only 7% of businesses across six market sectors exceeded young people’s expectation when it came to talking about their business and its culture. Most failed to effectively promote themselves (remember young people have a criteria in mind when reviewing a company’s website). When it came to providing support during the application process, only 36% achieved an adequate level. This included the use of plain English and a clear explanation of skills required. However, no company excelled in this area and many failed to make commitments with regards to application timescales and the availability of feedback. We believe that a strategic approach to recruitment is required, looking at attraction, employee engagement and retention.